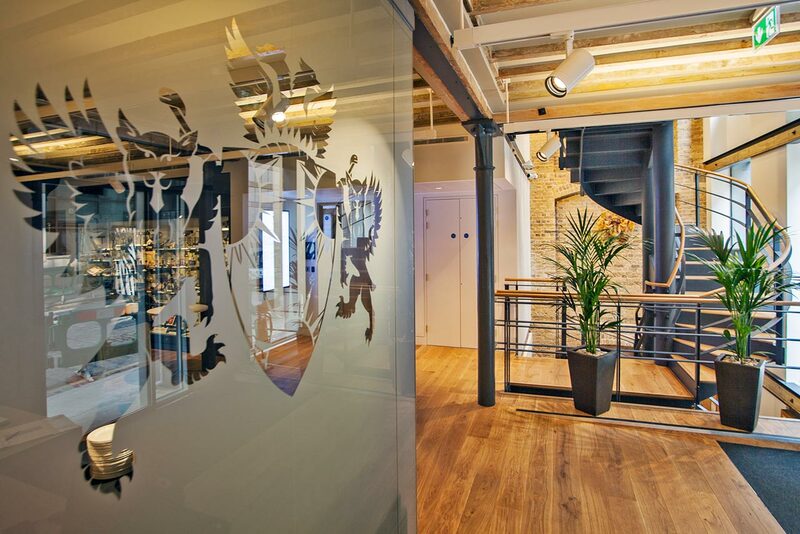 The Royal College of Ophthalmologists headquarters is situated close to Euston station, London. 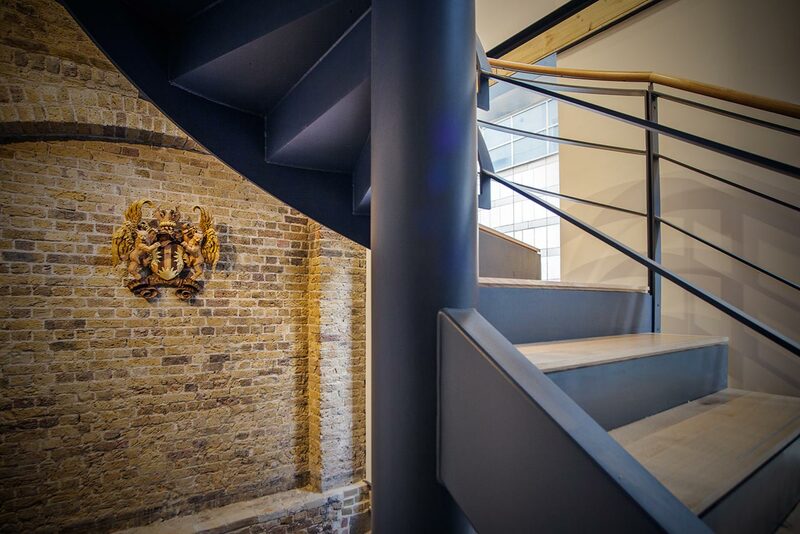 The building, a redevelopment of a former Victorian warehouse, accommodates offices for staff, training facilities, including seminar and lab spaces and a meeting room situated at roof level. 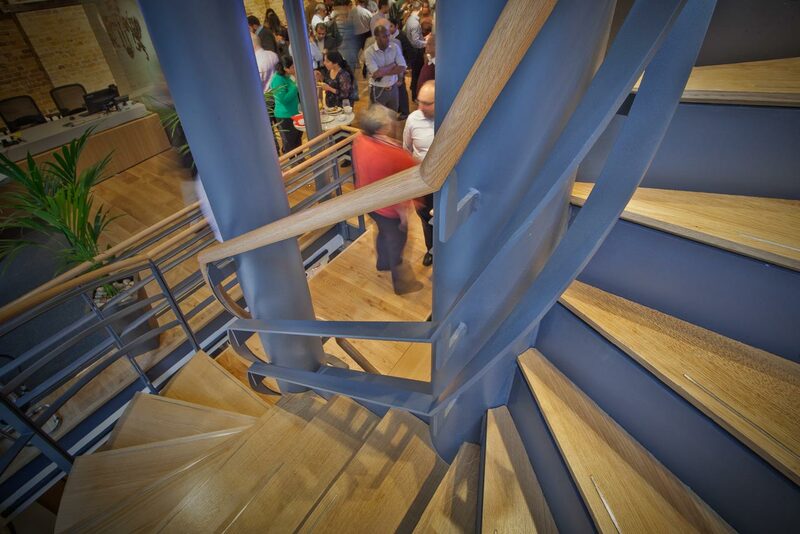 The feature staircase that Littlehampton Welding fabricated and installed, gives access to all three floors leading to the public areas. 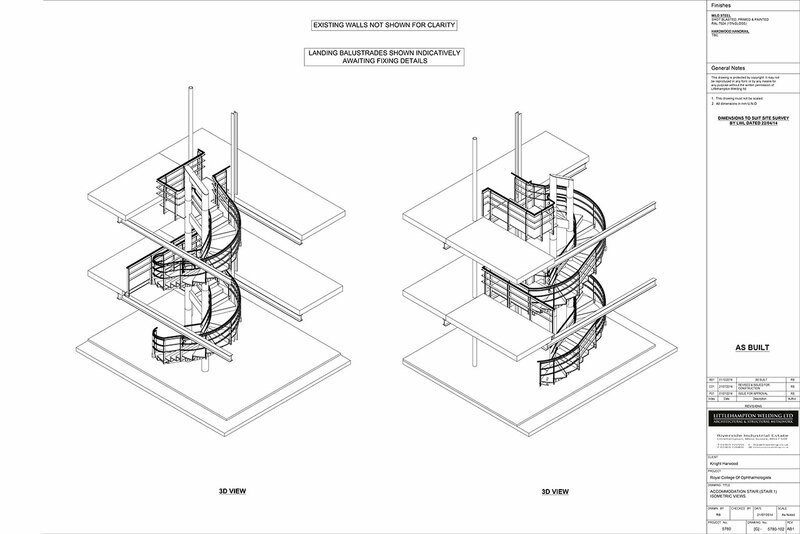 The spiralling structure of the staircase adds to the triple height entrance space, allowing light to fall into the building from the open façade. 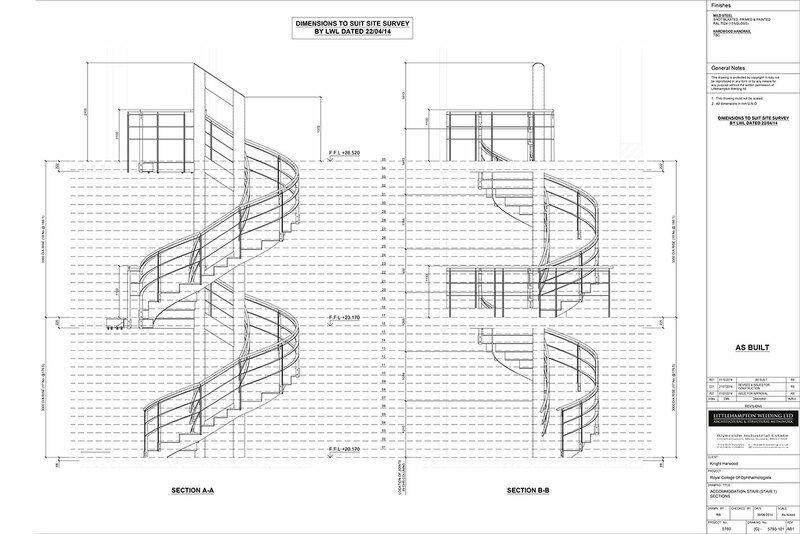 The staircase consists of a 1000mm wide part straight and part spiral stair, with two 1000 x 1750mm landings. 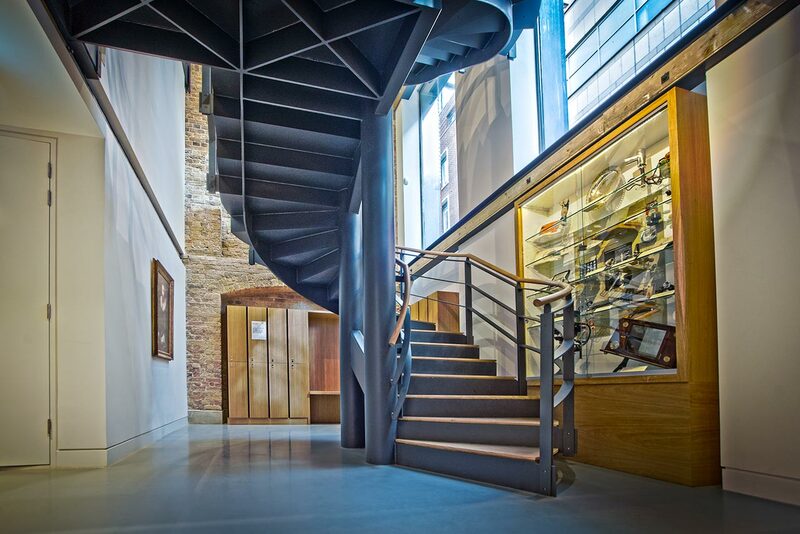 There is a total rise of 6.35 metres from basement to first floor. 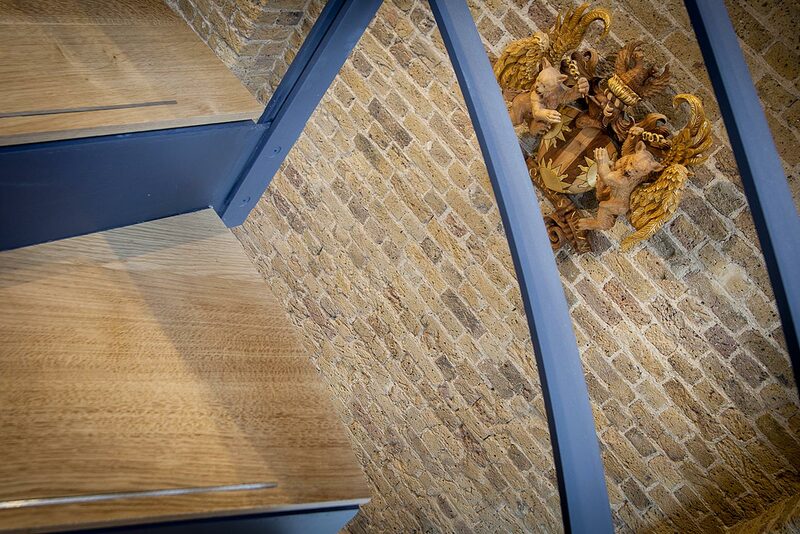 The stairs comprise of 10mm plate treads, risers and landing plates, welded to 300 x 15mm ‘saw tooth’ stringers and 250 x 15mm landing members, drilled and countersunk to the underside for fixing timber treads and landings. 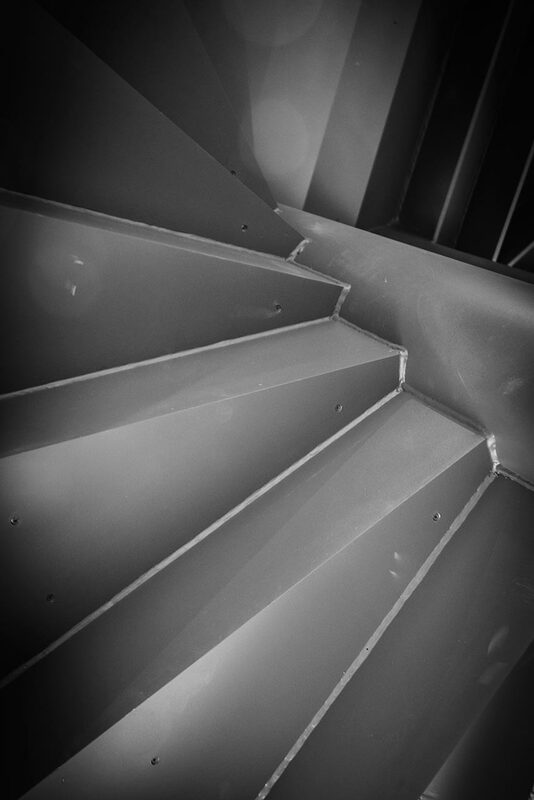 The stairs are supported off the existing structure and two 244.5mm diameter CHS posts, linked at the head with a 10mm profiled plate. 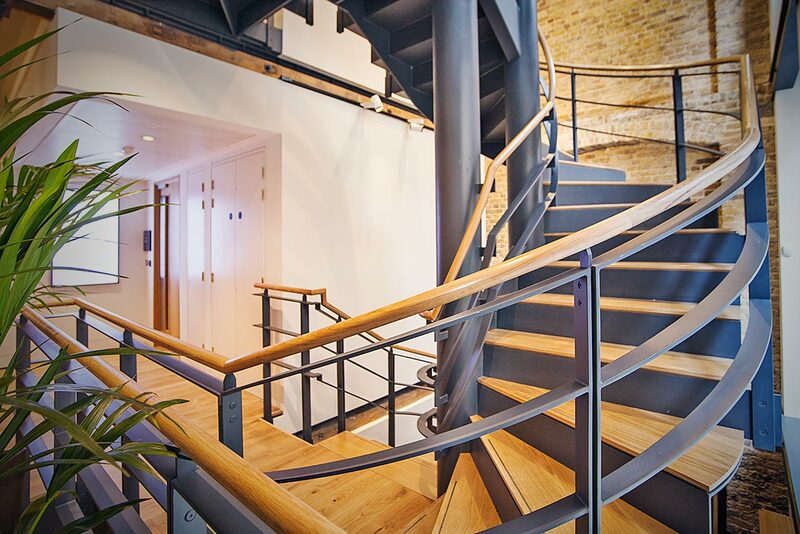 The balustrade comprises of a pair of 60 x 10mm posts, supporting a 50mm diameter European oak, clear lacquered hardwood handrail. 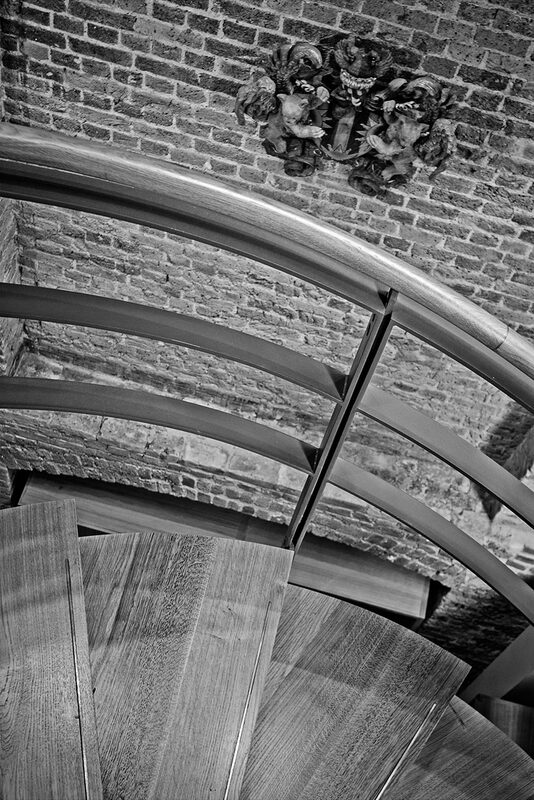 Both the stairs and balustrade are shot blast to SA2.5 standard and finished painted in Graphite Grey.